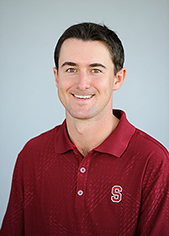 SANTA CRUZ, Calif. - Stanford finished in third with a 31-over-par 1081 on the final day of the 67th Western Intercollegiate at Pasatiempo Golf Club. The Cardinal (351-366-364), who was in third heading into the final round, was only 15 strokes back from UCLA and six strokes behind California. California (350-361-340), however, managed to shoot a 10-under-par 340 today for a final 1051 and the victory. The top-ranked (Golfweek) Golden Bears edged No. 5 UCLA by 13 strokes. The Bruins (341-361-362) came in second at 1064. No. 8 Stanford, in third, managed to finish four strokes ahead of No. 6 Washington (358-370-357) who scored a 1085 overall. "We were hoping to move up on the leaderboard, but the guys played well and the teams ahead of us were all highly ranked," said The Knowles Family Director of Golf Conrad Ray. "I felt like we had a chance today. We didn't play our best golf but we had some nice individual finishes with Patrick Rodgers coming back with a 67." Rodgers (70-74-67), who was tied for 23rd heading into the final round, fired five birdies and went three under for a one-over-par 211, tying for ninth. "I struck the ball really well today," said Rodgers, a sophomore. "After yesterday I knew my game was good and I just had to put a round together. I struck it great, gave myself a lot of opportunities and shot a good number." "My ball striking has continued to improve and I am making steps in my short game. If I can continue this trend, it will be a great postseason." Cameron Wilson went up three spots in the leaderboard from a 17th-place tie after the second round to a 14th-place finish. The junior opened with a 69 and followed that with a 74. Today Wilson shot a 70 for a 213 overall. 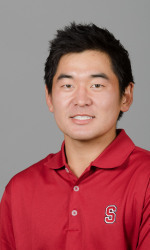 Senior Andrew Yun (69-71-76), who led the Cardinal heading into the final round, tied for 19th at 216. Sophomore Patrick Grimes (70-74-77) finished at 221 to tie for 37th, while freshman David Boote (74-73-75) was one stroke back at 222 and tied for 40th. Rounding out the lineup was Steve Kearney (73-80-76) who tied for 68th at 229. 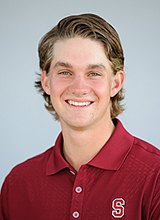 Stanford individual Dominick Francks opened the tournament with a 69 after firing birdies on holes three, six, seven and nine. Later that afternoon on the 36-hole day, however, the freshman shot nine over with only a single birdie on the 16th. Francks, who tied for 29th at 218, came back today with a birdie on the ninth, an eagle on the 10th and a birdie on the 11th for a 70. Junior Shane Lebow (74-70-76), who also competed as an individual, shot a 220 and tied for 32nd. Stanford competes next in the men’s golf Pac-12 Championship on April 29-May 1.
heading into the final round of the Western Intercollegiate at Pasatiempo Golf Club. The Cardinal, led by a pair of 69s from Andrew Yun and Cameron Wilson, opened the tournament with a 351 for a fourth-place tie. Under ideal conditions UCLA led the field at 341, 10 strokes ahead of Stanford. Strong winds in the late afternoon tested the 14-team field in the second round. UCLA and California, who check in at first and second on the leaderboard, scored the low of 361. 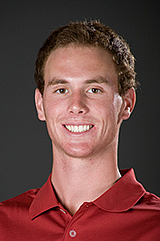 Stanford, in third, had a 366 to remain in contention of the title. The No. 5 (Golfweek) Bruins are 702 overall, while the top-ranked Golden Bears who carded a 350 in the opening round are at 711. The No. 8 Cardinal trails UCLA by 15 strokes and California by six. "I felt like we hung in there pretty well," said The Knowles Family Director of Golf Conrad Ray. "The conditions were very difficult with the greens being fast and a lot of wind in the afternoon round which was reflective in the scores." "For us to win tomorrow, we need a really solid contribution from all six players. With five scores counted, I think we can make up a lot of ground quickly. The guys are up for the challenge of playing the course well, managing their mistakes and cutting down on unforced errors." Yun, after opening with a 69, managed to maintain a solid 71 in the second round for an even-par 140. The senior is tied for seventh, just five strokes behind UCLA's Pontus Widegren (66-69) who leads the tournament at 135. "The wind obviously made things much more difficult, so I was picking much more conservative targets," said Yun who finished third in the U.S. Intercollegiate and tied for seventh at the Prestige at PGA West. "It's a demanding course and it requires precision so I had to be aware of where to hit the ball and where not to hit it." Wilson, the other first-round leader, tallied a 74 in the second round to tie for 17th at 143. Close behind were sophomores Patrick Grimes and Patrick Rodgers who both opened with a 70 and followed with a 74. Grimes and Rodgers are tied for 23rd at 144. Freshman David Boote (74-73) is tied for 41st at 147, while senior Steve Kearney (73-80) checks in at 153 tying for 71st. Junior Shane Lebow, who competes as an individual, is tied for 23rd with Grimes and Rodgers. Lebow opened with a 74 but managed to go four strokes better in the second round to finish at 70. Dominick Francks (69-79), the other individual, is tied for 48th at 148. "The guys are playing in foursomes so they're playing with a fellow teammate," Ray said. "My thought was to get them encouraged to root each other on as much as possible. I want to get the vibe going a little bit tomorrow and see what happens." The Cardinal tees off at 8:15 a.m. on Sunday from holes No. 3-5 with San Diego State. "I'm hitting the ball great," Yun said. "If I continue to hit the ball like the way I did and make more putts, then I will have a chance at the end. I didn't make many putts today, so hopefully I saved them all for tomorrow!" "My goal is to make confident, relaxed swings. It's easy to be tense and try to guide it out here, so I need to make sure I'm relaxed over the ball." As shown on the 2nd round scorecards below, the 2nd nine played especially difficult with the afternoon winds. BACKGROUND - One of the favorite events for the Stanford team every year is the Western Intercollegiate, in its 76th year, because it's played on the famous Pasatiempo GC in nearby Santa Cruz, only about an hour south of the campus near the Pacific Ocean. The course was designed by Alistair MacKenzie, architect of Augusta National, who had a home off the 16th fairway, one of the great par 4s in the world. Pasatiempo features tight driving holes, elevation changes and very fast, undulating greens --- the greens remind one of Augusta National. Although short by today's standards at 6,500 yards from the tips, every part of your game is challenged and scoring especially if the wind is up can be difficult. The course is rated at 72.4 with a slope of 143. With the sea breezes blowing off the nearby ocean, there is a special freshness in the air when you are playing at Pasatiempo. Stanford has won the team title 8 times while taking the individual title 6 times including last year's win by Patrick Rodgers. Notable individual champions have included Ken Venturi, Johnny Miller, Mark O'Meara, Peter Jacobsen, Joel Kribel, Aaron Oberholser, Duffy Waldorf, Jay Don Blake, Bobby Clampett and John Lotz. Stanford champions have been Fred Brown, Chuck Van Linge, Joel Kribel twice, Rob Grube and Patrick Rodgers. Stanford's team includes Patrick Rodgers, Andrew Yun, Cameron Wilson, David Boote, Steven Kearney and Patrick Grimes as 5 scores will count among the 6 team players. Shane Lebow and Dominick Francks will compete as individuals.